More than just beautiful to look at, ‘tiels and other birds belonging to the Psittacine (Parrot) order are best described as the primates of the bird world (seriously – they’re like monkeys with wings!). Gregarious and extremely intelligent, parrots are social foragers, flying together in flocks. There are over 350 species of Psittacines, of which cockatiels are one. Native to Australia, cockatiels are the smallest member of the cockatoo family. They are also the fastest of all Australian parrots, with speeds clocked in at nearly 40mph. Nomadic by nature, these birds travel in flocks of 4-12 in search of food and water. Their range extends throughout much of the Australian continent. Cockatiels have been kept in captivity for almost 160 years. Today, they one of the most popular parrot species kept as pets, second only to the budgerigar (parakeet). And it’s no wonder: cockatiels are relatively calm, quiet, and all around easy birds to keep – at least compared to other parrots. Although nothing compared to a sun conure’s piercing screech, a cockatiel’s scream can certainly be heard a couple of city blocks away (yes, I’ve tested this!). Although not as expensive as a macaw, a cockatiel is not a cheap pet, with costs for cage, food, vet visits, and toys adding up very quickly. 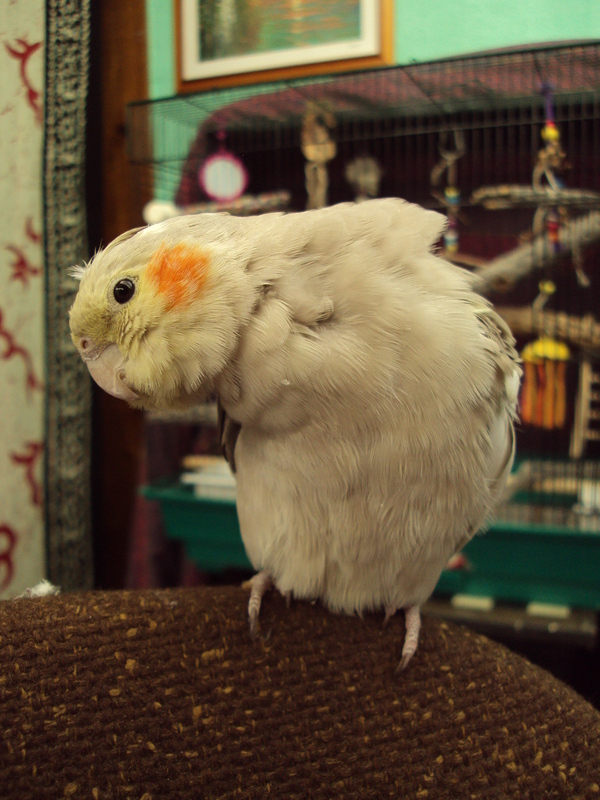 And although not as demanding as the larger cockatoos, a cockatiel needs daily mental and physical stimulation to stay happy and healthy. They are certainly a long-term commitment as well, with an average lifespan of more than twenty years, and a maximum lifespan of thirty years or more if cared for properly. In short: cockatiels are charming and loving, but also demanding, and have specialized needs (more on this later) and a long lifespan. In the right home, however, cockatiels are not only beautiful pets, but also loving companions.